Traditional robe with maroon lining in the hood and clasp. Add your own shirt, tie, and pants. 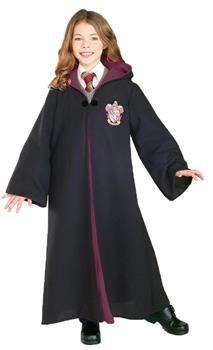 Child large fits sizes 12-14.Traditional robe with maroon lining in the hood and clasp. Add your own shirt, tie, and pants. Child medium fits sizes 8-10.Traditional robe with maroon lining in the hood and clasp. Add your own shirt, tie, and pants. Child small fits sizes 4-6.